La Petite Gourmess: Wonderful Watermelon! 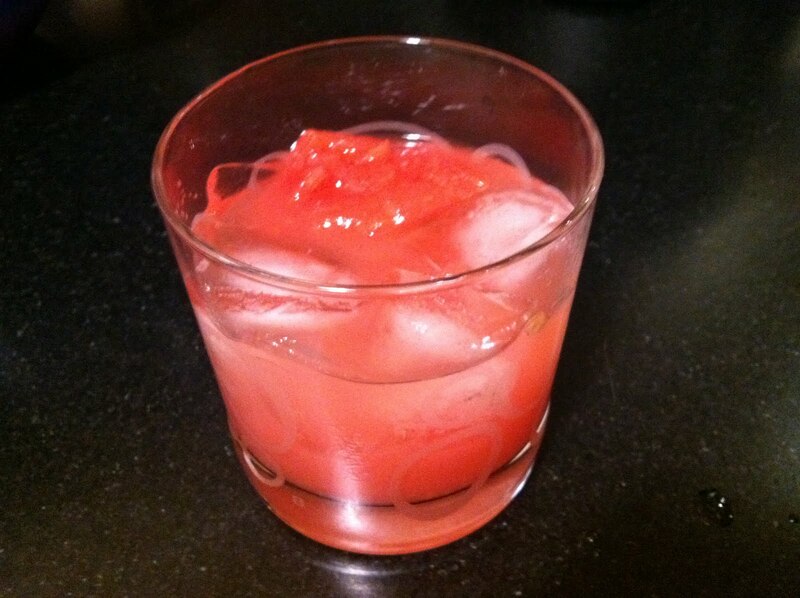 All I can say is jalapeño-infused tequila blanco, lime juice, simple syrup, gold tequila (or mezcal) and crushed watermelon make for a mighty fine summer cocktail. There's a bite to it, but it is a pleasant one. Do yourself a favor and make a pitcher or two of this asap. 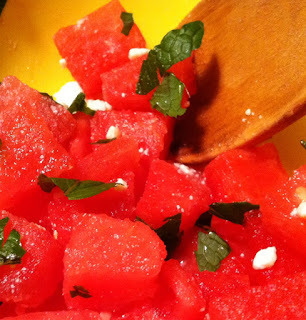 Cube seedless watermelon and combine with chopped fresh mint leaves and a sprinkle of feta cheese. If your watermelon is ripe and juicy like it should be, you won't need to add anything else to this dish. If it isn't quite ripe, see my August 2010 post for a different version of this using tomatoes, basil and balsamic vinegar. 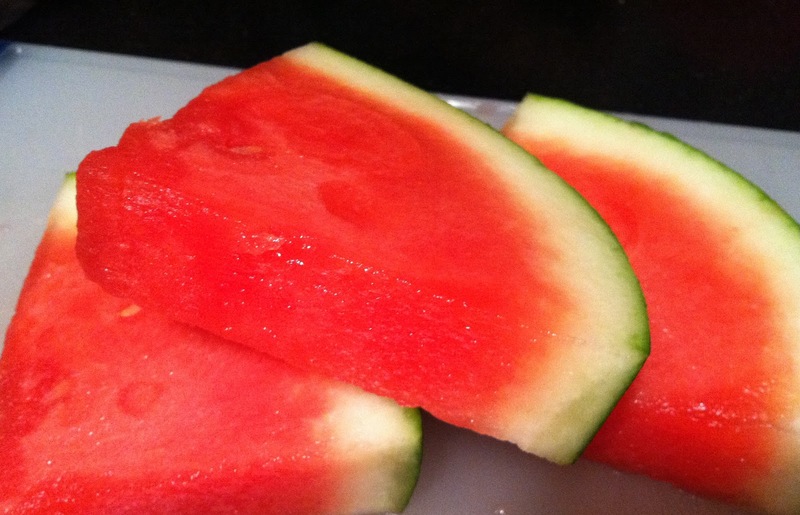 What's your favorite watermelon recipe?